Who Is Your Least Favorite Character On Mash? Mine Is B.J. He Is Annoying And He Whines A Lot And I Didn't Like It When He Hit Hawkeye For No Reason At Al! 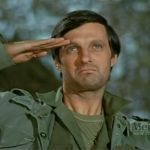 Re: Who Is Your Least Favorite Character On Mash? Zale, he's a hot headed hypocrit. I know we're not supposed to like him, but we're not supposed to like Frank but Frank was more intersting , all Zale seemed to do was pick fights with Klinger. I like all the main characters but I don't tend to miss Margaret if she's not in a episode. To me, Trapper was a little too similar to Hawkeye personality-wise, but I do understand the writers and producers attempts were to make the two characters "interchangable", but that obviously didn't work out; and I find that his relationship with Hawkeye was like a couple of frat boys, with a friendship out of convenience, whereas he and B.J. had that Ernie and Bert friendship: one was fun-loving and silly, the other was more serious, they fought all the time, but at the end of the day they made up and remained the best of friends. Hawk and Trapp's friendship was too balanced, and got boring, Hawk and B.J. 's friendship was a see-saw, so that kept it fresh and interesting. Of the recurring cast however, I have to say Captain Kaplan, the annoying dentist from Season One, I'm sooooo glad they got rid of him! And they could've done more with the Generals as far as the writing was concerned, rather than have them visit camp, and hope that means they'll get a little baudy time with Margaret. Aw, how can you not love Trapper? Trapper DID have some good moments during his stint on the show... matter of fact, "Kim" (2x06) is one of my favorite episodes, he really shined in that episode, and it was really bittersweet how he was both heartbroken but happy that Kim was reunited with his mother. Neah, even Zale was kinda funny, in a way. Every character was unique, but the whole Hawkeye_trapper thing is kinda one-dimensional, I agree with that. For me, it'd probably Trapper & Frank. I don;t think they fleshed either of them out as much as they could have done. Trapper was in much the same vein as Hawkeye, whereas when you compare BJ & Hawkeye they seem to be a lot more contrasting. Frank was just a villan to hate, which I don't mind, but it was more interesting having Charles there because he was more human than Frank was. I'm always hesitant about saying anything negative about the show because people mistake it for dislike of the show as a whole. It's actually the opposite. I love MASH so much that when a character comes on that reduces the show's quality, it really bothers me. That brings me to my least favorite character. BJ today, tomorrow, and always. I can handle Zale because he wasn't in every episode and eventually left without so much as a by your leave. Nobody even missed him. Klinger was was more of a nuisance in later seasons more than anything else. But BJ plagued the show for most of its time on the air. He did have a few bright spots on the show like in GFA and his anniversary episode with his wife's home movies. But not enough to undo all the boring crap he spewed for eight seasons. People have mentioned that they disliked Trapper's friendship with Hawkeye because they were too alike, whereas BJ was so different from Hawkeye which was more interesting. I don't hold with that idea because it's unrealistic. What do you think the odds are that two people who argue as much as they do would really be friends in real life? Not to mention that BJ WAS predictable in that he was basically a goody goody and would always take the side of a child or family. If he was in a bad mood, chances are good it was about his wife or kid. With Trap, it could be anything because he was a bit if a loose cannon at times. Trap and Hawk WERE alike in the show and real life. That's why they stayed close friends until the day Wayne Rogers died. 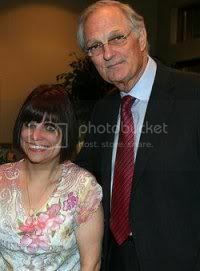 I don't remember Alda ever discussing going to Farrell's animal rights rallies or any premieres of his shows (if any) the way he did with Wayne Rogers. That showed on screen. BJ and Hawkeye's was a friendship of convenience like people you meet at work. They lived together and were both sociable people so they were friends. Trap and Hawk were real friends and would have remained so in real life had the situation permitted. 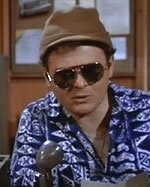 In fact with Trapper in Boston and Hawkeye in Maine, it certainly was possible. In watching interviews with cast members, Mike Farrell is usually never singled out by the cast as being someone they enjoyed working with or if he is, he's usually an afterthought. In reading and watching behind the scenes interviews, I got the sense that if Mike didn't agree with something in the script, he would refuse to play it. If that's case that explains why he was written the way he was. A guy who is consumed with missing his family and rarely makes any mistakes. Riveting television. And not too far from the actor's own boring life. All that aside, BJ was very annoying in the show. He was way more one dimensional than Trapper. Did anyone expect Trap to try to adopt Kim? Of course they didn't. Did anyone expect him to try to murder a North Korean after losing a patient? Certainly not. BJ can be summed up in a few words. Misses wife and family. Everything revolves around that. Even cheating on his wife had to do with missing her. When they tried a love at first sight thing with Aggie, it wasn't believable and came out of nowhere. Could be acting or writing or both. There was no chemistry between them which may had something do with Judy Farrell watching from the wings. BJ was so affected by Aggie that he never mentioned her again and sent her away with very little regret. Trapper's cheating was more complex and if explored would have been far more interesting. I got the sense he didn't have a great marriage and maybe she was a bit of a ball buster. BJ always tried to project his own values on others and usually took out his moods on others. He was often very self absorbed and refused to see that others had families back home that they also missed. He was not a funny person but often tried to behave like he was to keep up with Hawkeye. He did this by punning on every little thing he said. He would say everything at rapid fire pace hoping it would sound funny. It didn't but Farrell's lack of comic timing limited the writers' ability to give him anything comedic to do so they had to throw in puns. The puns were constant in the last few years. That's the final reason I resent BJ coming on the show. With Trapp and Henry gone (my favorite characters), they took the com in sitcom away with them. The show began to slide into drama once BJ arrived and that's pretty unforgivable. First i like Trapper and B.J. Second i don't have a least favorite character. They were things about each main character that i feel were exaggerated through the series like Hawk not knowing when to leave things alone at times or Margaret in the early years with her military strictness. 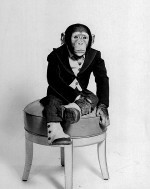 Charles feeling he was too good to be at the 4077th during his first couple of seasons. However, each character was complex and you always understood where they were coming from and that they all had good intentions. Yep definitely BJ,..Trapper seemed like a "regular guy", Where B.J>. was whiny, self absorbed, and like Hawkeye, self righteous..
the problem with him IMO is that until the later seasons when he develops that angry streak, BJ actually offers little to the show beyond puns. He’s always that nice, well balanced guy and the show really struggles as a result. That season 4-7 sees us lose characters like Burns and Radar largely because they run their course and have no where obvious to go... or so the actors said... but part of it is also that they can’t bounce off BJ the way they could Trapper albeit short lived as his reign was. Both Burns and Radar have their moments with Potter but with BJ Radar has to get younger so that BJ can influence him positively, and Frank meaner/shallower so that BJ can get the moral high ground. And that direction is the opposite one that both those characters should have taken. That said, my least fav character is actually Margaret. I don't really have a least favorite character. The replacement characters(i.e. - BJ, Potter, Charles) were very different from the ones they replaced which is a good thing. If they tried to have one of these characters play the same as the one they replaced they would have bombed. On the Dukes Of Hazzard when John Schneider(Bo Duke) and Tom Wopat(Luke Duke) left for most of season 5 the 2 replacement characters were exactly like Bo and Luke. If the new characters were different from Bo and Luke they might have been better. This is where MASH succeeded. The actually created new characters with the replacements. I feel that Trapper worked better with Hawkeye and they seemed to have a solid friendship. They both fooled around with nurses and they were always on the same page. BJ and Hawkeye argued more and seemed to get on each others nerves. They were good together but not the same as Trapper and Hawkeye. Margaret changed a lot as the show went on. After she broke off with Frank she was no longer Hot Lips. In season 5 when she was engaged there were some funny moments with her and Frank but it never felt right. After Frank left it seems like the writers didn't know what to do with Margaret. In season 5 Margaret spoke of Donald as being such a great person and then in season 6 the writers turned Donald(off screen) into a sort of Frank Burns character. Suddenly he was cheap and he cheated... I think they were desperately trying to capture the Hot Lips/Burns pairing but it didn't seem to work. In one episode Margaret loved Donald and in the next episode he was a lying cheater. In season's 1-4 Margaret was pro-military and her and Frank spoke of how lucky they were to be at war. Then in season 6 she became closer with Hawkeye and BJ and she took on some of their views. I loved all these characters but some of the changes were drastic. Maybe that's why the show went on for 11 years. Who knows. Frank Burns, hands down. The character was just too much. He was meant to be a foil, but no one behaves that obnoxiously and unlikable all the time. He never had a nice thing to say to anyone, or about anyone. The character was written and played way too over the top. He was often a unwelcome distraction instead of being funny. Margaret softened a lot after Frank left, her character was originally over the top unlikable, too. After Frank left, she could be a foil when necessary, but the character became more human and likable.